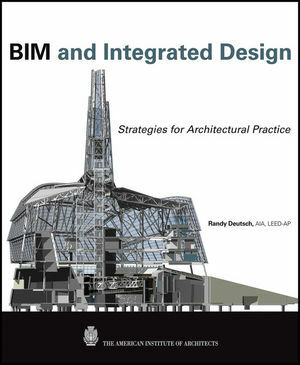 "Ready or not, it’s high time to make BIM a part of your practice, or at least your vocabulary, and this book has as much to offer beginners as it does seasoned users of building information modeling software." Randy Deutsch AIA, LEED-AP, is an architect, design strategist, and speaker responsible for the design of more than a hundred large, complex building projects. Recognized as a BIM strategist and IPD advocate, his writing and design work have appeared in DesignIntelligence and Architectural Record among other industry periodicals. Recipient of the AIA Young Architect Award–Chicago, Randy has been an educator at one of the nation's top graduate architecture programs, leading an integrated building science/design studio and professional practice course. He is recognized as a professional thought and practice leader, contributor to the industry's leading social networks, and keynote speaker on the subjects of technology, innovation, lean construction, knowledge management, employee engagement, and collaboration. Randy blogs at bimandintegrateddesign.com and architects2zebras.com, both featured in Architect magazine.